Meir Yedid Magic is one of the leading producers of magic routines and equipment for professional and hobbyist magicians. Our products have been performed on television shows around the world, in the largest theaters, the smallest intimate conditions and even in stadiums and circuses. 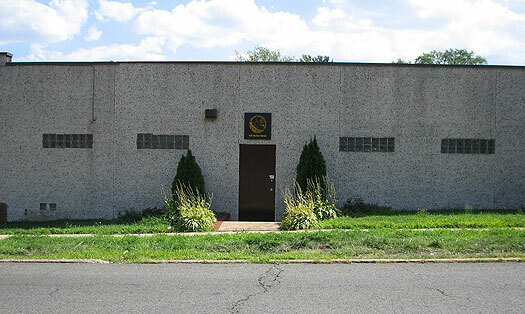 Producing magic since 1979 we are currently located in New Jersey with offices in Fair Lawn and a 4,000 square-foot warehousing and shipping facility in Saddle Brook. Our web presence features a family of sites that are considered by many to be the leading in the industry. If you are looking to purchase magic, dvds, collectibles or anything else magic related please give us a call or visit one of the websites below. For information junkies we have massive sites with the latest news, television guides and live shows. Although we do not have a showroom we do display at many magic conventions around the world as well as present shows, lectures and product demonstrations. For more information about where we will be in the near future click: HERE. Our complete line of products available on the web with accurate descriptions and secure ordering. Includes original magic by: Harry Anderson, Jerry Andrus, Gaetan Bloom, Aldo Colombini, Eric DeCamps, Derek Dingle, Phil Goldstein, Richard Kaufman, René Lavand, Jon LeClair, Edward Marlo, Gene Maze, Tom Mullica, David Regal, Michael Skinner, Johnny Thompson, Meir Yedid, Herb Zarrow and many others. Includes a secure and automated ordering system. Magic History is a resource for magic collectors and historians. It also offers for sale many products relating to the history of magic. MagicTimes is the leading source for magic news -- It is updated daily with the latest about magic. When news breaks -- magicians turn here first. Includes a Gift Shop. All you ever wanted to know about Meir Yedid and his shows. There is more information here than even his mother knows about him. © Copyright 1979-2017 by Meir Yedid/Meir Yedid Magic. All Rights Reserved.